Morte Aeterna is-was an extreme Black/Deathmetal band from Holland. Starting out from the ashes of the technical Metalband Myrrha in 1997, they slowly progressed from blackmetal to a more heavier and lower sound. 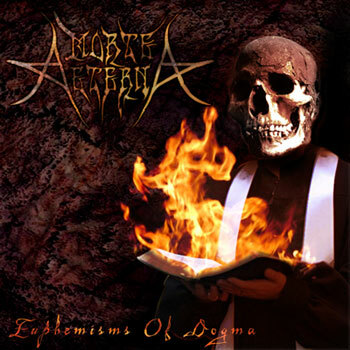 "Euphemisms Of Dogma", their first full-length, was recorded in 2003, but alas, the mastertape got lost and all that was left were unmixed recordings. Due to priority differences between the bandmembers, the band split up in 2004. Maybe the band will rise once again from eternal death ... maybe not. No one can tell!